Hand-operated sound device for scaring birds using fear and distress calls. It makes bird scarer noise. Sounds from different birds are included, e.g. starling, crows and gulls. Each sound is selectable, so you can choose the sound of the present birds, after you play the sound it will cause agitation among the birds, so they will consider the area unsafe and will leave. Starling, Jackdaw, crow, canadian goose, greylag goose, barnacle goose, jay, sparrow hawk, kestrel, herring gull, black headed gull, common gull, wolf howls and a shotgun sound. 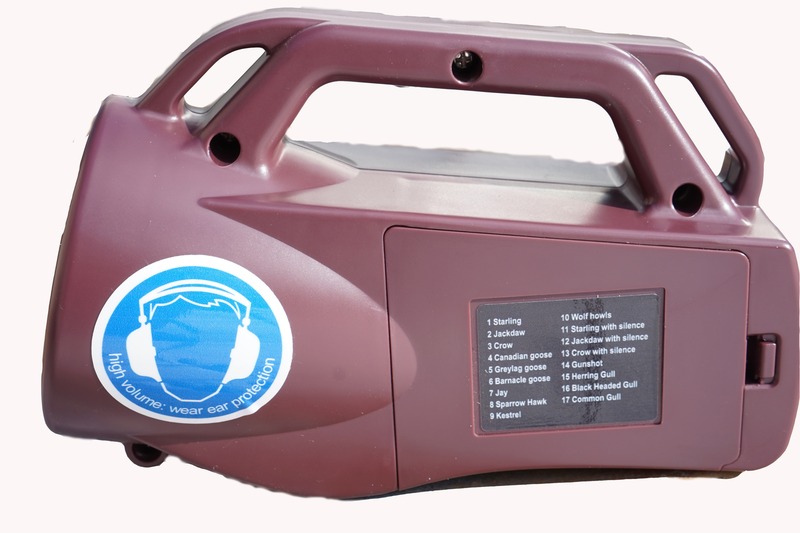 It’s not ultrasonic bird scarer but it is very powerful audio bird scarer emulates a bird under attack. Use the device regularly at different times. Very suitable for agricultural farms, orchards, airports, warehouses etc. 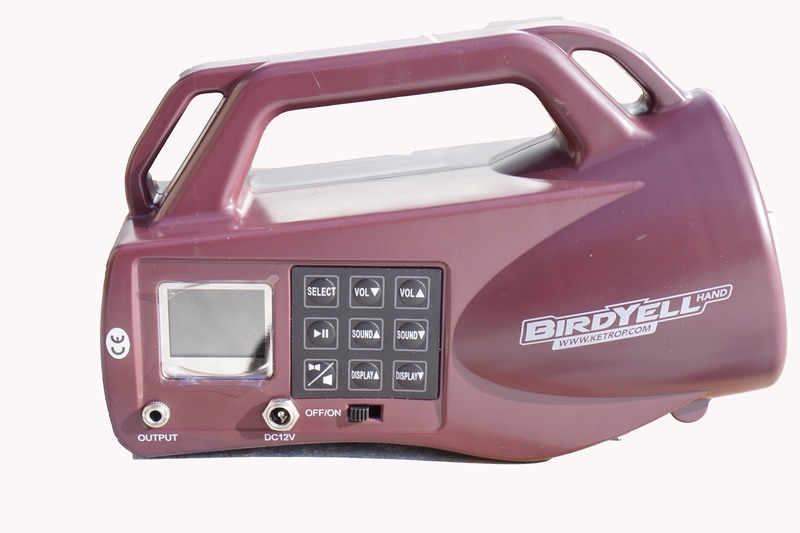 The BirdYell is easy to operate and is powered by 8 AA batteries or a normal 12 volt battery. 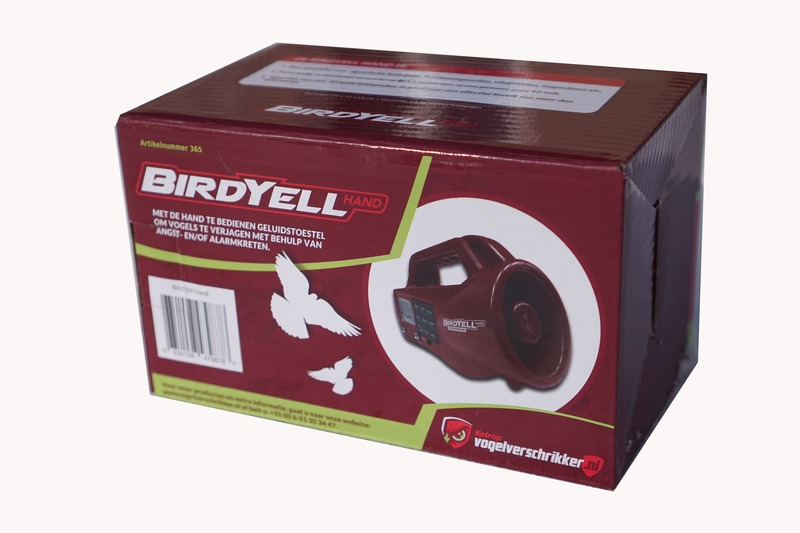 The BirdYell is equipped with a 10-watt speaker, which makes effective bird scarer noise up to 200 meters.